After spending part of her childhood in Sweden and Norway, Stina (Peterson) Dufour wanted to maintain her language skills and the connection to her heritage. The Scandinavian studies major at North Park gave her a way to do both. Combined with a double major in sociology, her Scandinavian studies degree also helped her realize what she wanted to do with her life after graduation in 2008. Through two internships—with the Nordic Heritage Museum in Seattle and the Swedish American Museum in Chicago—Stina became drawn to international education and cultural programming and was able to add that experience to her resume. “I wondered, how could I promote cultural exchange for a living?” she recalled. 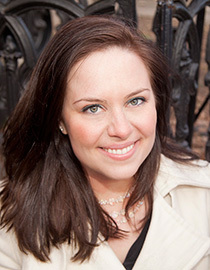 Stina earned an MA in international education from New York University, and then landed a position at NYU’s Steinhardt School of Culture, Education, and Human Development. As a program manager in the Office of Academic Initiatives and Global Programs, she manages study abroad programs and assists with course development. The unusual major helped her stand out to her supervisor, who had also majored in Scandinavian studies. When the school had to evaluate its study abroad program with Sweden, Stina held meetings in Swedish, which was seen as a sign of good will. She credits her Scandinavian studies major with helping her achieve her career goals. “It was my pathway into working with study abroad and international visitors full time,” she said.